Major work was just getting started in December 2001. Work was underway on the eastern terminus at 610, where the eastbound tollway lanes will pass underneath 59 in a trench. 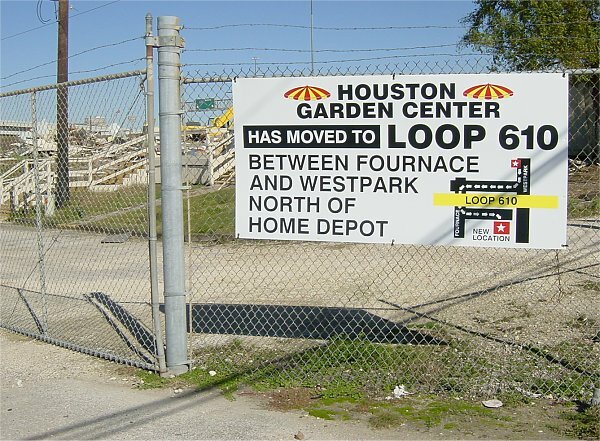 By January 2002, work at 610 was at full speed and causing major traffic disruptions to US 59. This view looks north with 610 on the right. 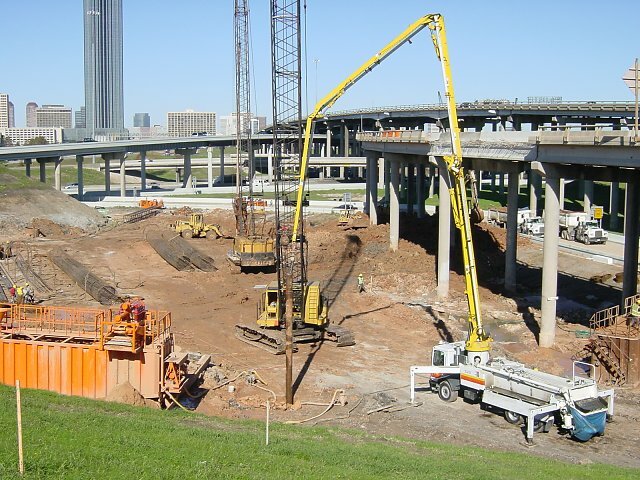 The Westpark Tollway eastbound main lanes and the west loop southbound feeder will be trenched underneath US 59 and the connecting ramps. 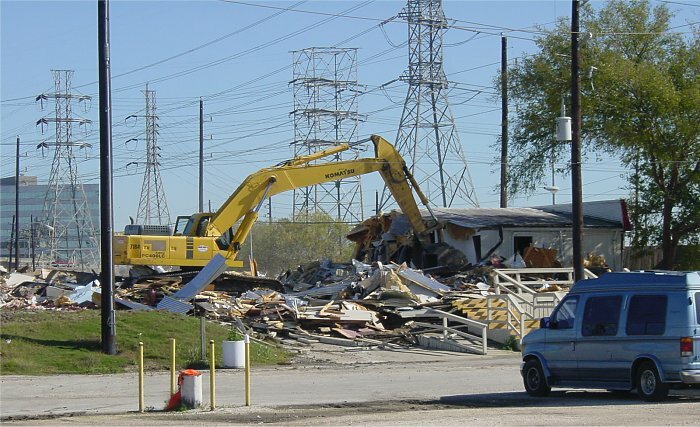 The Houston Garden Center located at the southwest corner of the 59/610 interchange was demolished in December. This location has a very interesting history. It started as a dumping ground for excavated earth in the 1970's during the 1970's construction boom. In the mid 1970's, the large mound of dirt was a water slide. Since then, it has had numerous "alternative" uses, including an artificial ski slope, amphitheater, and other strange uses that I can't remember. It finally seemed to have found some stability with the Houston Garden Center. Well, now the property has been retired from commercial use. 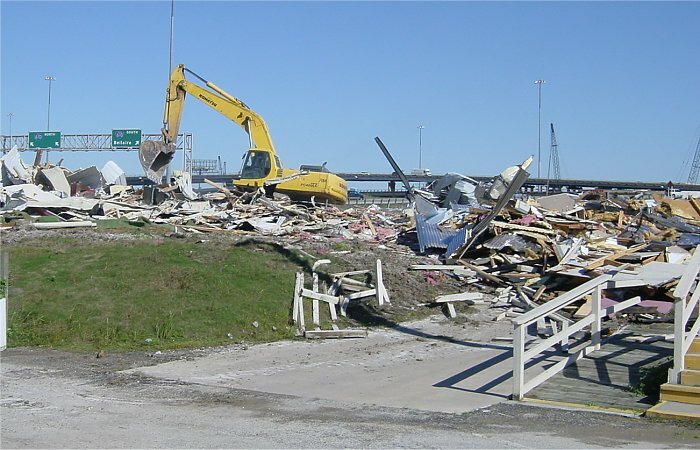 Another view of the demolition.